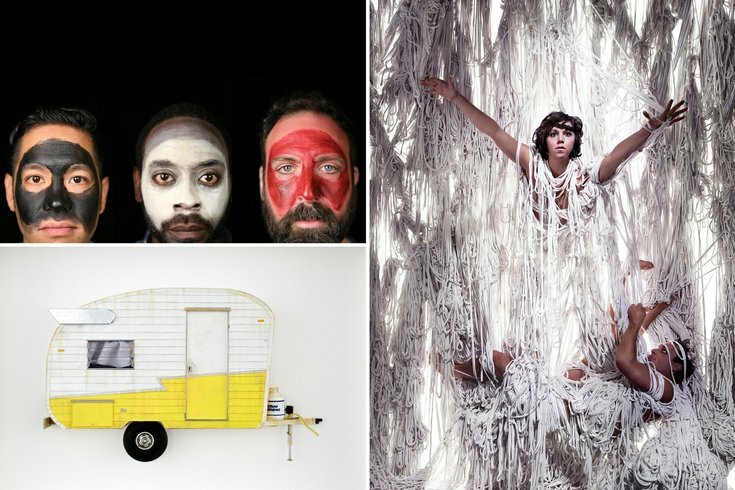 Clockwise from top left: "An Octoroon" featuring Ed Swidey, James Ijames, Justin Jain; Knitting Peace from PIFA 2016 and Drew Leshko's "Truckin." With the weather warming up, it looks like spring has finally sprung. The winter doldrums are falling away and Philadelphians are ready to get back out into the theaters, galleries, shops and restaurants that make the city fun. As a little sneak preview of the season's offerings, we put together a list of cultural experiences coming to Philly that you just have to check out. Looking for new eats or new shoes? We've got you covered. Want to do a little bit of everything this spring? Use this as your to-do list.Either way, say goodbye to winter and get out and about. When Sly Fox likes a band, they really like a band -- so much so that they've named their latest brew after their favorite, Mason Porter. The Sly Fox Porter will be released with a special concert featuring (you guessed it) Mason Porter, Tin Bird Choir and The Wallace Brothers Band on March 12 in Phoenixville. 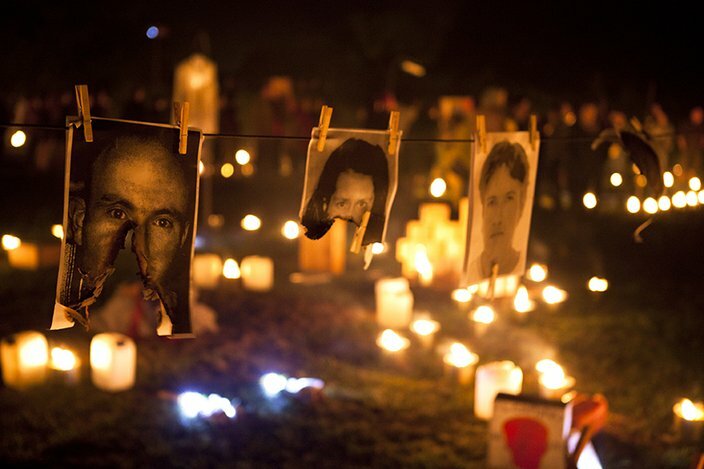 Now in its third iteration, PIFA arrives to bring together the international and local arts communities from April 8-23. Over 60 events will come to the Kimmel Center, Penn's Landing, the Barnes Foundation and even South Broad Street when the massive street fair explodes on the festival's final day. This year's theme is "We Are What We Make," so expect groundbreaking work which focuses on makers, repurposing and recycling and exploring materials in new ways. Yes, yes, Philly, cheesesteaks, we get it. But Cleavers, which just opened in Rittenhouse, is combining the classic sandwich with the artisanal aesthetic, using primo ingredients and hand-rolled bread to make a chicer steak. Grab a plain one, a cheesesteak or one of their unique flavor combinations. It may not feel like Pat's or Geno's, but that's sort of the point. The exhibit you need to visit: Drew Leshko's "Home Is Where You Park It"
You've seen Philly-based artist Drew Leshko's dollhouse-like recreations of Philly facades and landmarks (like the Divine Lorraine sign) all over town/Instagram. 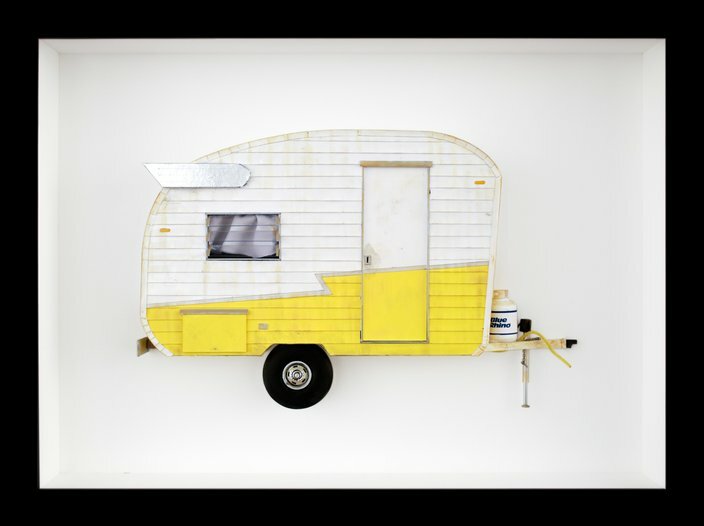 With his latest show, "Home is Where You Park It," the artist has applied his detail-oriented artistic process to RVs, motorhomes and camp trailers. Open now through April 26 at Paradigm Gallery + Studio, the exhibit also includes some work for sale, if you act fast. The Fabric Row boutique keeping your feet fancy is changing the game with their stylish capsule collections, the second of which will be released March 10 with a popping party. BUS STOP X All Black features super slick oxfords in springy hues and covet-worthy metallics. You won't be able to choose a favorite so, remember: if you find something you like, buy it in every color. The music you need to hear: The Humble's "Act Accordingly"
The straight-outta-Temple alt rock three-piece formerly known as Mo Lowda & The Humble is getting set to release their sophomore effort "Act Accordingly" on March 11. Fresh off a hit winter tour, which included a packed February release show at the Foundry, the Humble is on a serious roll. Listen to their latest before they get even bigger, so you can brag to all your friends that you heard them first. What do you get when you mix Dion Boucicault’s 1859 antebellum play "The Octoroon" with contemporary subversive art? The Wilma Theater's production of "An Octoroon," a pre-Civil War story which follows a slave owner who falls in love with a woman who is one-eighth black. Joanna Settle directs the production which features choreography and original music from ILL DOOTS. The show runs March 16-April 10 and tickets are available online.